Due to a campus wide email migration our Online Counseling email is currently not accessible. We are working hard on resolving this issue, we appreciate your patience. 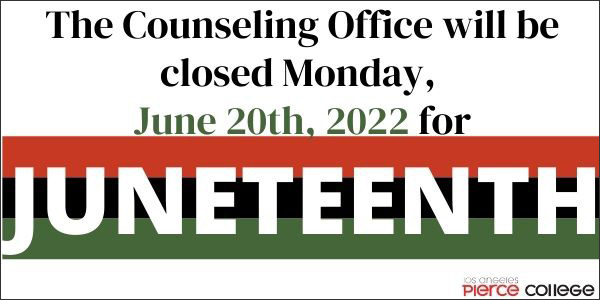 If you completed 24 units and don't have an education plan on file, we strongly recommend that you make a Counseling Appointment. The counselor will assist you in developing a semester by semester breakdown of your courses leading towards your educational/career goal. 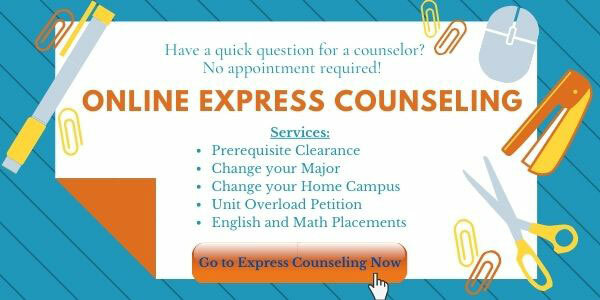 If you are a new or returning college student with less than 24 college units completed, go to the First Year Experience (FYE) web page and follow the instructions to make an appointment with an FYE Counselor. Our goal is to help students clarify their goals, realistically evaluate their own strengths and challenges, and learn to develop their planning skills to achieve their goals. 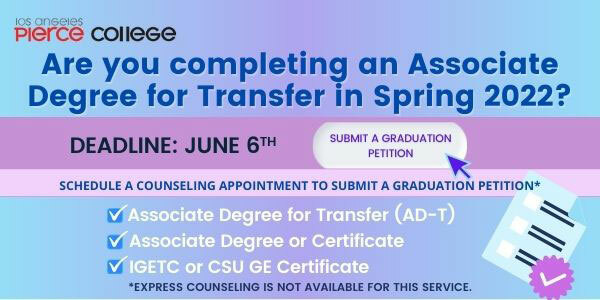 The Counselors at Los Angeles Pierce College (LAPC) are trained in educational planning, career planning and personal counseling. We recognize that this is a process and doesn't happen in one visit. 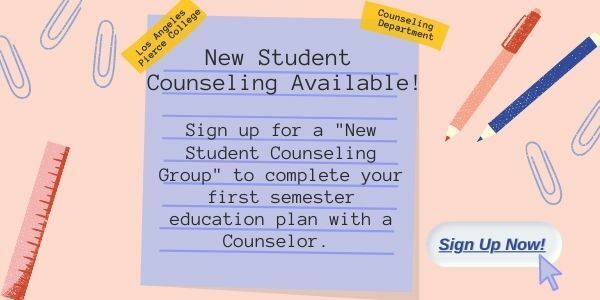 The Counseling Student Learning Outcomes (SLO) are based on the individual counseling appointments in the General Counseling Office. Students come with differing levels of goal definition, a wide range of academic preparation, specificity in their requests, and different levels of understanding about the system. Students will be able to evaluate academic options and make informed decisions on appropriate classes to take each semester. Students on Probation will learn success strategies after meeting with a counselor that will assist them in making satisfactory academic progress.